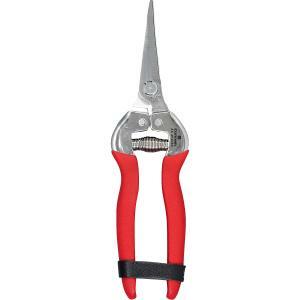 The long curved snip is designed for picking and field-dressing bunches of grapes. The durable, corrosion-resistant stainless steel blades resist rust, are easy to clean, and reduce germ build-up. Leather strap lock included.